A purported Foxconn CNC model of the "iPhone 8" has surfaced online —but as with the diagrams leaked over the last two weeks, there is no way to tell how accurate the model is, or if it is even close to what Apple will ship. 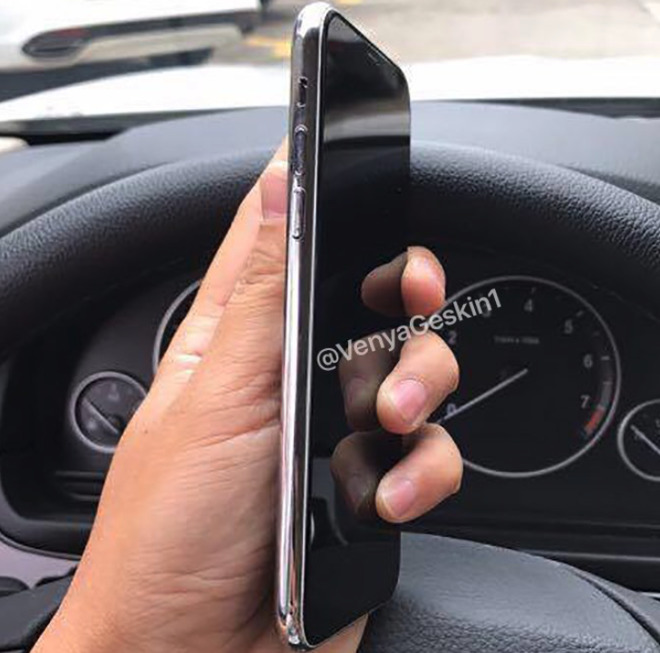 Shared by twitter user VenyaGeskin1, the alleged "CNC model" shows the purported "iPhone 8" sporting an edge-to-edge screen with 2.5-D glass front and back. The publisher claims that there are dual-front cameras, a 4-millimeter bezel, the previously rumored vertical camera array, and a metal frame. While the angles of the shot make it difficult to get any sense of dimensions, Geskin claims that it is 7.1 millimeters thick. In a follow-up tweet, he claims that the camera protrusion still exists, but this is not shown on the earlier photo of the "CNC model." There is no obvious Touch ID sensor on the back of the unit pictured. Yet another Tweet suggests that the design is "even more merged than S8" and "not like iPhone 4." 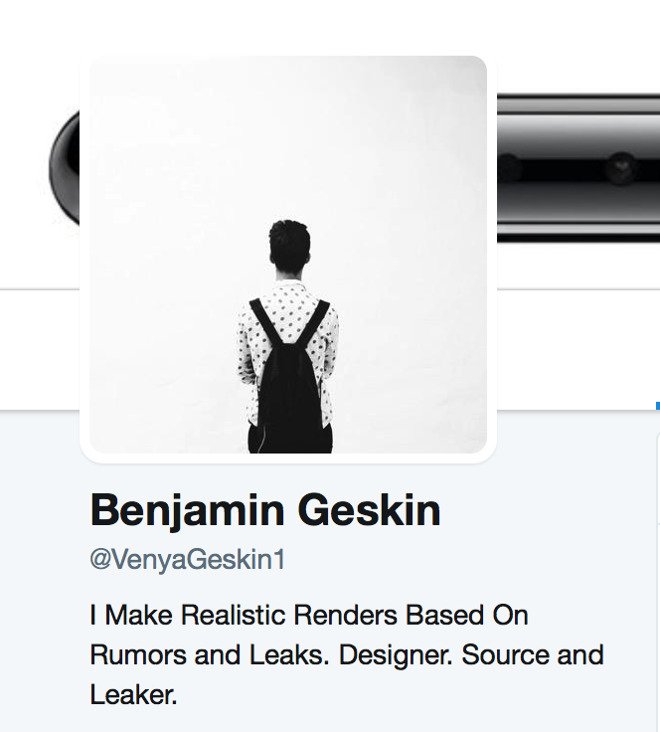 Geskin's Twitter biography notes that he makes "realistic renders based on rumors and leaks," casting even more doubt on the alleged leak. While at this point in 2016 the final, external design of the iPhone 7 was one of several rumors being bandied about, the veracity of this model clearly cannot be authenticated.